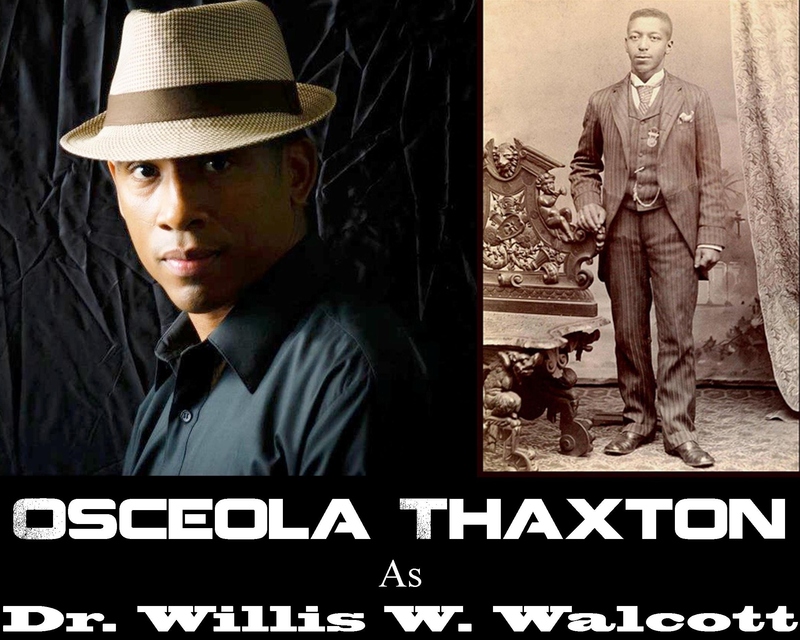 Recently, the great character actor, martial artist and fight choreographer, Osceola Thaxton – who plays the physician / scientist / inventor Dr. Walcott in the Steamfunk feature film, Rite of Passage – sent an inquiry about the character: “PEACE FAM! I hope all is well….please, send me some background info on Dr. Walcott. Is he a mad scientist? Is he crazy at all? What kind of GENIUS is he? What drives him? Money…..power…women? What are his fears…his passions? Why so many questions? Why not just learn his lines, show up on the set and “act”? From the perspective of someone who has never acted before, or from someone who has only done a school play, acting probably seems like an endeavor in which all you have to do is memorize lines. To this effect, the way in which actors engage with material – by thinking about characterization, intention and the subtext underneath their lines – increases their memory for the material. It is by thinking about the meaning behind the words, rather than just the words themselves, that actors are able to memorize long scenes and entire plays. This approach can help individuals, including elderly adults, who have never had an acting lesson increase their memories. So, the next time you need to memorize a speech, think about why you are speaking each sentence, in addition to just what words need to come out in what order. An actor’s role (pun intended), however, goes far beyond just memorizing lines. Actors are charged with creating a character from words on a page. To achieve this daunting task, first the actors have to figure out what the character wants – the goals and objectives that must be achieved within the context of the play, movie, or television program. Often a script is only the bare bones of the character’s objectives – the lines the character will say, and the lines that others will say in response. From these bones the actor creates a skeleton of characterization – a frame upon which his or her character is built. There is a trio of critical psychological skills that help an actor create such a skeleton: theory of mind, empathy, and emotion regulation. The ability to understand what others are thinking, feeling, believing, and desiring. Infants seem to have a preliminary theory of mind and children are able to fully understand the beliefs and desires of others by three years of age. The ability to read another’s intentions and desires varies as a function of our relationship with that person, our own attention, and the degree to which we are trained to do so. Actors, psychologists and individuals who read a lot of fiction normally have highly developed Theory of Mind skills. Refers to a feeling we get that is appropriate and emotional in response to someone else’s emotion. This can mean being happy that your best friend is having a baby, or anger when that same friend’s now teenaged daughter stays out all night with her loser boyfriend. The use of empathy in acting is somewhat controversial – some actors think they must feel all of their character’s emotions – that they that must really feel sad, angry, or in love if you are to portray that emotion correctly. Other actors think that all that feeling gets in the way of acting, and that physical portrayal of an emotion will be enough to get it across to the audience and create a realistic portrayal and then there are those actors who will switch between both methods, depending on their personal mood and the needs of the performance. An actor’s control of his or her own emotions and the replacement of them with the emotions of the character. Most of the methods used by an actor, however, are unconscious. Too deep of a conscious analysis of character by an actor can be detrimental. 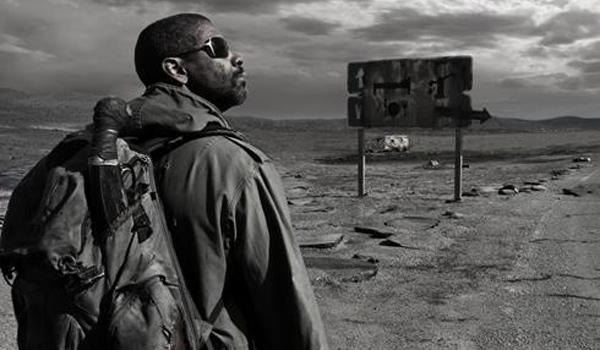 Stellar actor Denzel Washington does extensive preparation and uses physical reminders in order to masterfully play his roles. However, when it comes to the moments of actually acting, of creating that character’s words and actions while the camera rolls, Mr. Washington has no idea how he is going to bring the character to life; he just does it. In fact, Mr. Washington believes that analyzing the character too deeply might make his grasp on the character go away. He has, instead, learned to just trust himself. Acting is difficult. Ask any director or actor. There seems to be a delicate balance between overt preparation and unconscious performance. Bad performances are often criticized as being “self conscious” – the actor was aware of what she was doing, or aware of the character’s faults, and could not help projecting them as she played the character. Our behavior is changed by all sorts of unconscious processes, motivations, and influences that we don’t even notice. And these influences can be manipulated extremely easily. In a classic study, John Bargh, a psychologist at Yale University, primed students with words relating to old age. After rearranging lists of words into sensible sentences, the subjects – all New York University undergraduates – were told that the experiment was about language ability. It was not. In fact, the real test began once the subject exited the room. In the hallway was a graduate student with a stopwatch hidden beneath her coat. She pretended to wait for a meeting but was really working with the researchers. The grad student timed how long it took the test subjects to walk from the doorway to a strip of silver tape a little more than 30 feet down the hall. Reading the list, you can envision a stooped, elderly person shuffling about a tiny studio apartment that reeks of mothballs, hissing curses at the television. A control group unscrambled words that evoked no theme. When the walking times of the two groups were compared, the Florida-retirement-bingo-alone subjects walked, on average, much slower than the control group. Words on a page made them act old. Bargh and his associates conducted another similar experiment in which they tested Caucasian and Asian subjects to see if they were more hostile when primed with an African-American’s face. They were. In a third experiment, the subjects were primed with rude words to see if those words would make them more likely to interrupt a conversation. They did. Currently, Dr. Bargh’s work is showing surprising findings about unconscious priming of behavior and attitudes, such as how holding a warm cup of coffee can make you feel socially closer to those around you – no wonder most of my meetings are held at Starbucks. So, tell me your thoughts – is acting intuitive? Can the author of the screenplay, play or teleplay use certain words to put an actor into character? Or, does preparation enable actors to “forget” themselves when in the moment of acting? Does it matter whether you have “preexisting talent”? Or is training and preparation more important? Your feedback – as always – is welcome and encouraged. Posted by Balogun on May 6, 2013 in Adventure, Afrofuturism, Film, Science Fiction, Steampunk and tagged actors, film, rite of passage, steamfunk, steampunk. I think acting may be a lot like writing when it comes to character – I can spend days learning a character, understanding their motives, their feelings, etc. But when it’s time to sit down and write, I put the pages of character development aside and just let the characters tell their own story. Put in the work, then let the inspiration take over. I concur, Jessica. Thanks, for your feedback!